Also it seems like there is no space for the other users profile picture if it is not sent so it’s blank. Also plus works on it. Also there are no statuses. Strange, statuses appear to work fine for me. I can also see profile pictures. No. 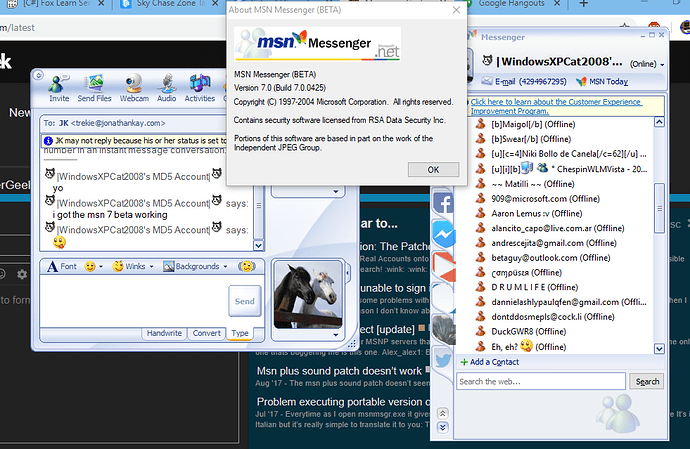 I was not talking about the online, offline and away statuses. I was talking about the one that you can change it to anything you want. 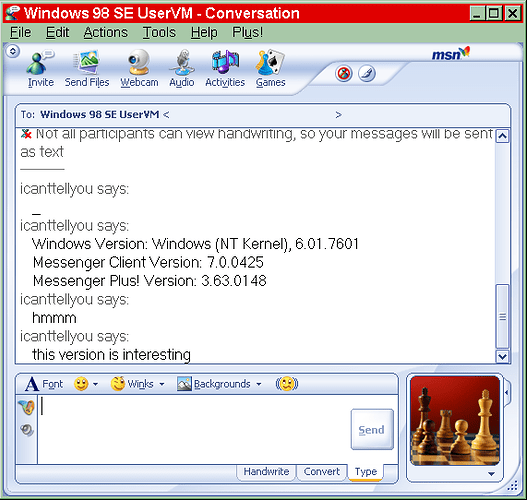 And also the contact was not on MSN 6.0 or newer.